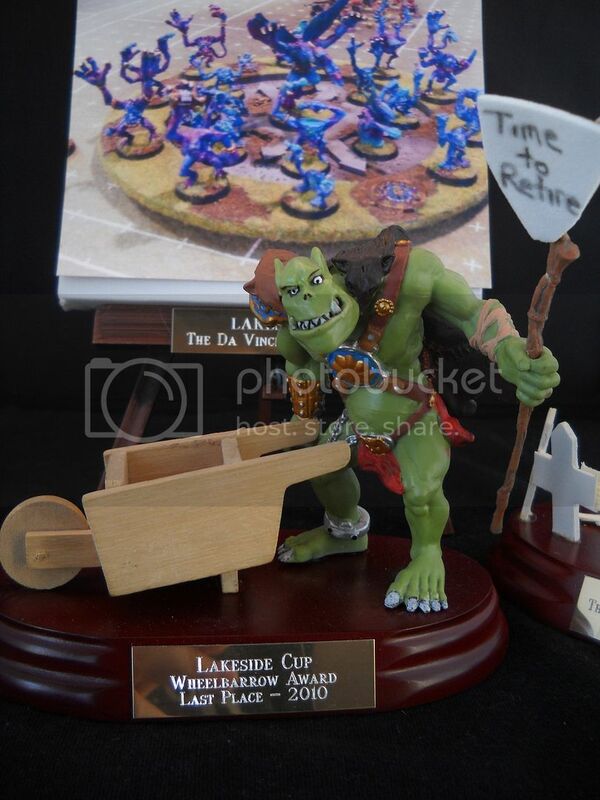 Lost In The Warp: Lakeside Cup! Bloodbowl at its best meets me at my worst! 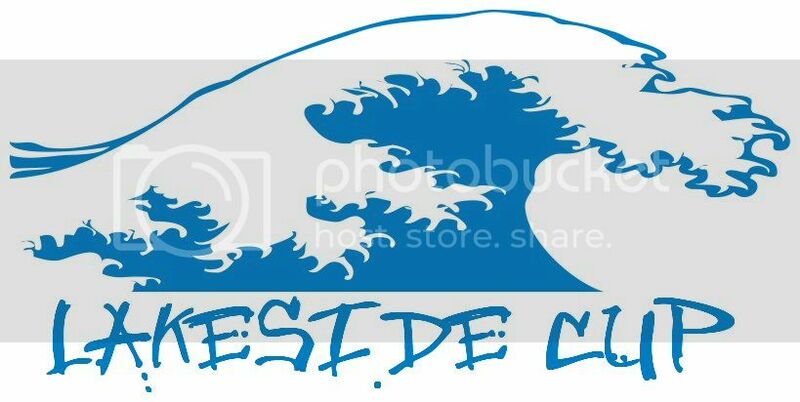 Lakeside Cup! 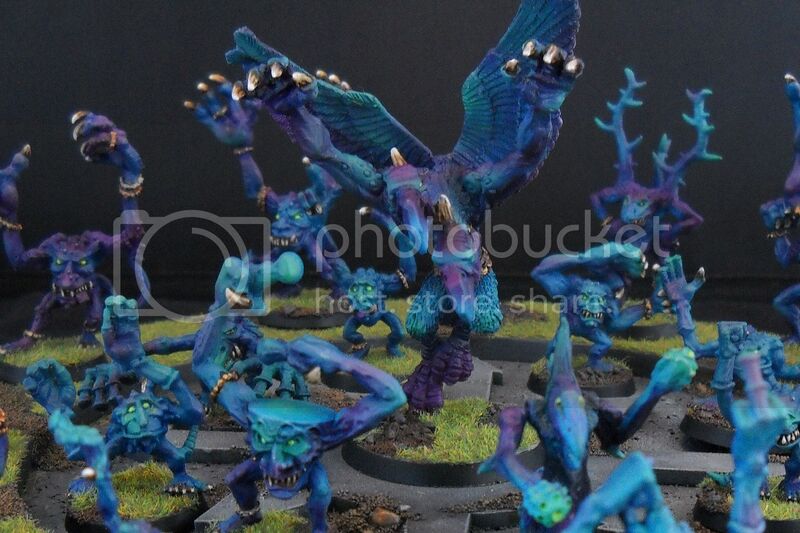 Bloodbowl at its best meets me at my worst! 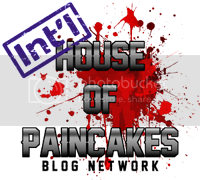 Having seen posts and been involved in conversations on the NAF website, I really started to see that the Canadian Bloodbowl community (particularily in Ontario) are a really tight crew and seem to be super nice to boot! Seeing as how one of the Canadian events was only an hour away from my home it seemed that there was really no way to avoid it - The CFL was going to the Lakeside Cup! This event was really different than any that I have ever attended in the past. First the tournament is two days long and actually held in at the home of one of the participants. The host was Peter Meers. Now, I have competed and made friends in this hobby worldwide and I say with no reservation that you would be hard pressed to find a kinder and more genuinely nice gamer anywhere. Backed by his lovely wife Tammy, Peter made me feel really welcome and made this a great experience for everyone.The second major difference in this event was that while coaches battled individually the stats were totalled across two groups of participants split into Divisions (East and West) according to geographical location of their home town. I was in the bracket of defending champions the East. 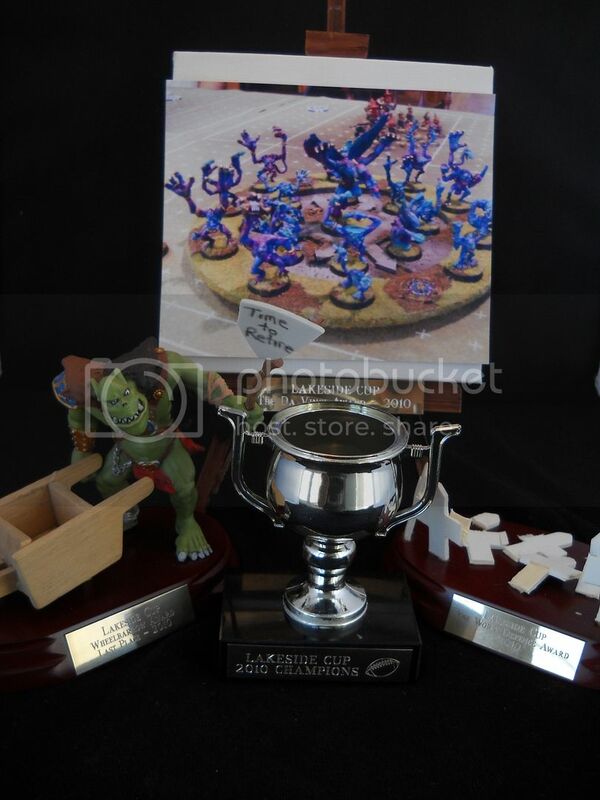 There were some really awesome teams there - one guy - Mark- who I had met at various events across the year had a BEAUTIFUL chaos dwarf team. I would be proud to own and play this one (or just put it in my display cabinet). Spazz (Craig) also had a super cool team of Zulu warriors and apes which he played as Norse (and quite frankly pounded me into the ground with when he and I played). My first game was against Joe Michaud who taught me a few things about this event and more than a few about proper bloodbowl play. I am still really thankful that he was my first opponent and I would play him again any time. That being said, I realised at the end of my first defeat that my team was poorly skilled for this particular bash heavy tournament (with no block to be seen on my roster!) and that the weekend was going to be rough. I did have some solid opportunities throughout I also had some terrible luck (this would be the theme of the weekend with my nearly sure thing passes into the endzone getting intercepted on natural 6's or my anything but catches resulting in fumbles even with rerolls). By the same token I hardly ever failed a leap which made my team of bouncing maniacs threatening even in the face of defeat. I played each of my games to keep the pressure on my opponent as best I could (desperate suicidal leaping maneuvers aplenty!) and I think that my opponents enjoyed our games as each and every one of them shut me down and handed me defeats. The worst defence award (man I love this trophy). 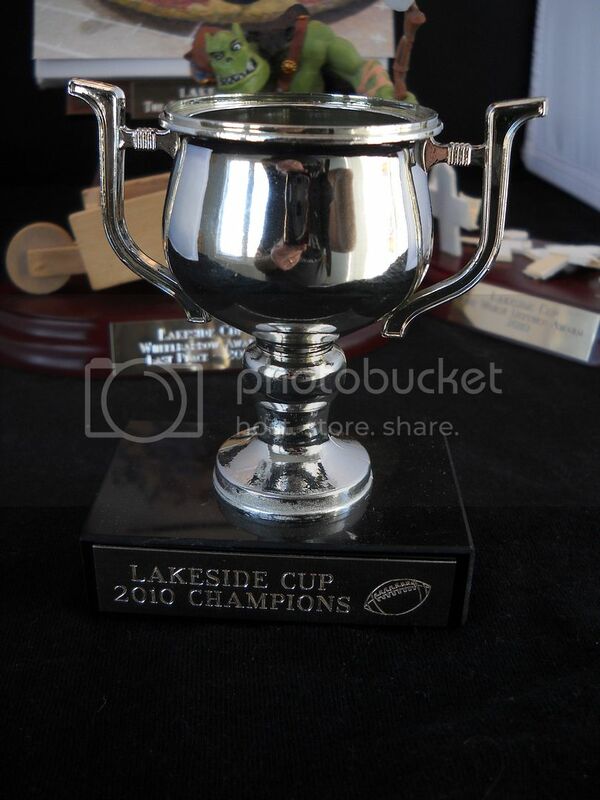 AND for being on the winning team a Lakeside Cup Champions Award! Yep even with me scoring so poorly in the event the East as a team still racked up the most total points for the win! Truth be told I had such a great weekend that I felt like a winner either way. I have a much better idea of team loadout and expectations for next time. I cant wait to go again. I would like to add an extra thanks to Mark D and Roderick as well for going out of their way to make me feel welcome and help with newb rules questions. And a final extra special thanks to Dan's mom - 'nuff said. PS Anyone considering going to this event - it is a Blast but be prepared to play with a hangover! This crew plays hard on and off the pitch! Cyall soon.